Unique Wedding Dresses- How To Find The Right One For You? Looking For That One Of A Kind Wedding Dress! Want a wedding gown that will show off your personal sense of style. Tired of seeing the same old styles and want something different for yourself. Want a bridal dress that you don’t see everywhere. Having a unique wedding theme. Find designers of unique wedding gowns you like. Why not create your own wedding dress? Find a local wedding dressmaker or choose an online source to make your wedding gown. But be careful, especially if you are having your dress custom made. If you have to many design elements going with your gown... it can begin to look like a costume, instead of an elegant wedding dress. Depending on the theme for your wedding, your gown has to match it or you will look out of place! Brides who chose the dress before figuring out the theme end up having to change the dress. Vintage Wedding Dresses are making a comeback, especially the styles from the 50's and 60's. Princess wedding gowns. 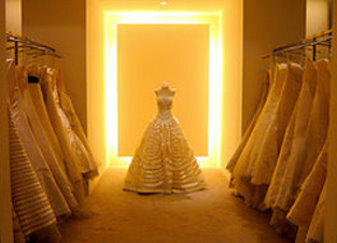 You know the type, the big ball gown Cinderella wedding gown style. So you can see that depending on the theme, your gown has to match it or you will look out of place! The skirt design makes this a unique wedding dress. Colored wedding dresses are non-traditional wedding dresses. Take a look at this gallery of colored wedding gowns! Short wedding dresses are a perfect choice for a bride who wants a unique look for an informal wedding or to use as a reception dress. Check out these dresses! 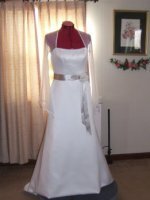 Western wedding dresses are perfect for the bride who is having a western theme wedding. This style is great if you want an unusual gown to wear for your big day. Alternative wedding dresses. This is when you don't want the normal traditional wedding dress. You want a unique wedding dress. This could be found in many different forms. Convertible Wedding Dresses Check out these convertible wedding dresses. No need to by 2 wedding gowns for your wedding. You get 2 wedding gowns from 1 style!